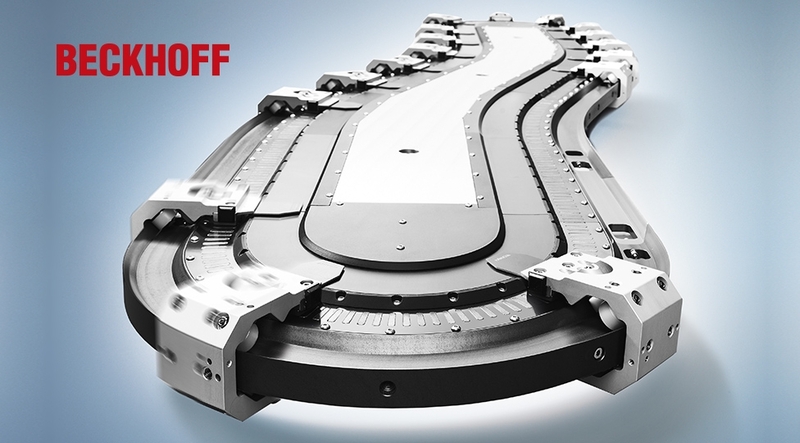 Beckhoff has already available on the market the XTS (eXtended Transport System). This guided magnetic transport system has unique characteristics that distinguish it from conventional solutions. The load carrying capacity is approximately 3 kg (per load / mover), maximum speed up to 4 m/s and accelerations up to 100 m/s². This solution has a positioning accuracy of +/- 0.15 mm @ 1.5 m/s and allows repeatability of < ±10 μm. The standard version has an IP65 protection class and the Hygienic XTS version, dedicated to the pharmaceutical and food industry, presents IP69K protection, being totally waterproof and extremely simple to clean. Composed by a very simple modular system, it allows a variety of layout configurations ("S" format, rectangle, square or straight line segment). In addition to the reduced number of components of the system, one of the highlight features is the flexibility of operation through control software (parameter change and positioning) as well as a significant reduction of transport times between handling / production stations. The compact design combined with ease of installation and operation, simplify the mechanical design and provide an innovative solution for production optimization. For more information, please contact our commercial department or our Beckhoff brand manager.